* Lightspeed Manager includes full market data package. *Clients who meet monthly trading volume thresholds qualify for our Active Trader Commission Group and can benefit from deeply discounted commissions. Once your account is set to any Active Trader Commission Group rate, you will be charged that rate on all shares traded going forward. For example, if you trade over 1,000,000 shares per month using Sterling Trader and qualify for the $0.0020 per share rate, you will be charged only $0.0020 per share on all shares traded, not just those in excess of 1,000,000 in any given month. **All rates subject to ongoing review and may be increased if clients fail to meet the trade/share thresholds listed above. ***All stock/ETF pricing listed on this page applies to listed equities only. ****Regulatory fees and are pass-trough and are subject to changes without a prior notice. All routing fees/rebates and regulatory fees are charged separately. *****Commissions apply to all order types. For share prices less than $1.00, 30 basis points times the total trade value will be charged. For customers who send an extraordinary number of non-marketable limit orders to the NYSE, Nasdaq, Amex or other exchanges, and who route such orders direct, rather than using Alaric Trader Smart routing, Alaric reserves the right to impose a surcharge in order to defray specialist order handling charges. In this event, Alaric will provide notice to affected customers. *Basic Package includes PR Newswire, Market Wire, Globe NewsWire, OMX, Business Wire, Investor’s Business Daily, and United Press International. **Market data fees and rates are pass-through and are subject to changes without a prior notice due to many reasons such as insufficient or incomplete data and/or changes provided by the ECNs or exchanges. *Margin Accounts below $100,000 (considered “Reg T” accounts) are customarily extended a 4:1 intraday and 2:1 overnight leverage. Often, we may extend a higher leverage (up to 30:1 on intraday and 6:1 on overnight positions). **Margin Accounts over $100,000 (considered “Portfolio Margin” accounts) are customarily extended a 8:1 intraday and 4:1 overnight leverage. Often, we may extend a higher leverage (up to 40:1 on intraday and 10:1 on overnight positions). ***Alaric Securities does not pay interest and does not apply charges on cash balances in Cash or Margin Accounts. *Be advised that due to many reasons such as insufficient or incomplete data and/or changes provided by the ECNs or exchanges may cause discrepancies. Therefore, the above list should be understood as a “best effort”.  Pricing may be changed at any time without discretion and Alaric Trader reserves the right to discontinue updating the ECN pricing list at any time without liability. **The venues above represent the most commonly used routes. Alaric Securities offers additional routes not listed above. Stocks priced under $1.00 are subject to different routing charges and are not rebate eligible. Rebates are subject to forfeiture in the event an ECN or exchange does not remit the rebate to Alaric. Routing charges are subject to change without prior notice.